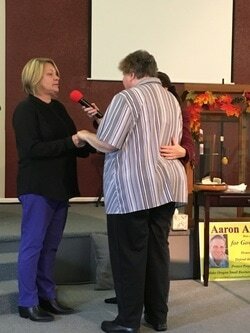 ​At the Sunday service Wanda came up for healing because she had been in pain for a long time. One week later she shared with her church congregation that she was still pain free. Hallelujah thank you Jesus!